These pro makeup brush sets serve as your personal 247 glam squad, ready to buff, blend and bronze your way to yumminess. Anytime, anywhere, you can enjoy all the latest looks with these premium professional makeup tools. These brush sets are also ideal for student makeup artists who need to train with a reliable professional brush kit. 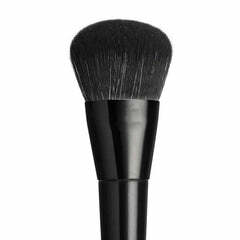 Each makeup brush is uniquely crafted to target specific areas of the face with absolute precision. The bristles are made with the finest synthetic faux fur, which mimic the real pillow-like softness of animal fur. You can satisfy all your favourite beauty addictions, while savouring all the warm, fuzzy benefits of being cruelty free.